With just two weeks left before the Affordable Care Act's fifth open enrollment period ends, roughly 2.8 million people had signed up for coverage through the federal insurance exchange as of Nov. 25, the CMS said Wednesday. That's ahead of last year's sign-ups, which totaled 2.1 million in the first four weeks. But 9.2 million people selected plans or were automatically enrolled through HealthCare.gov during last year's three-month enrollment period, meaning the pace of sign-ups would have to accelerate rapidly before the shortened enrollment ends Dec. 15 to match last year's numbers. Of the people who have signed up for coverage so far, about 718,000 are new customers, and about 2.1 million had exchange coverage previously. The CMS data does not include sign-ups in states that run their own exchanges, and does not include consumers who will be auto-enrolled in a plan at the end of the period. Insurance experts had predicted lower enrollment this year in the wake of the Trump administration's decisions to cut the enrollment period in half, while also slashing funds for outreach and assistance. At the same time, mixed messages about the availability of cost-sharing subsidies and enforcement of the individual mandate may deter many would-be exchange customers from picking a plan this year. 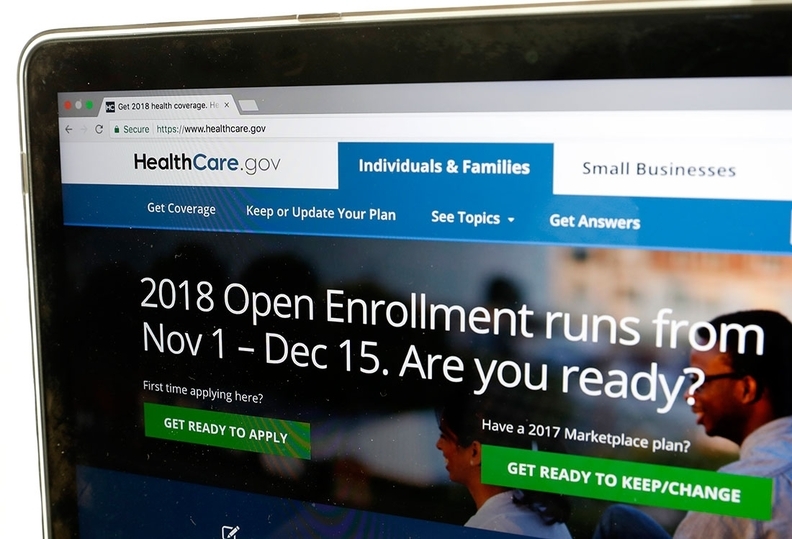 Prior to open enrollment, navigators who help customers sign up coverage said many consumers seemed unaware of the open enrollment start date.